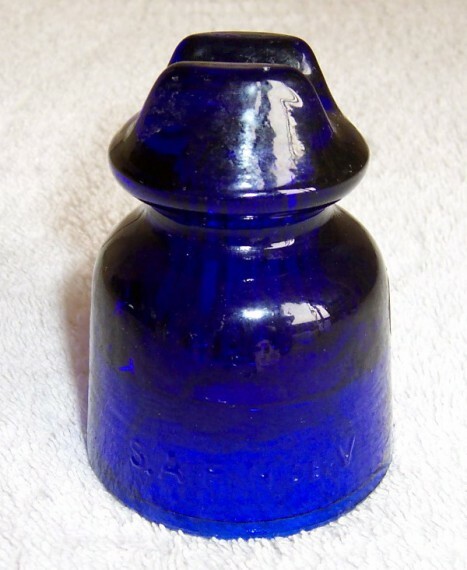 Not very common Uruguayan blue glass insulator made by S.A.F.N. de V (Sociedad Anónima Fábrica Nacional de Vidrio). Marked 92176 (or perhaps 92/76). Inside not threaded but shows thin parallel wedges following the major axis, inside a tapered hole.